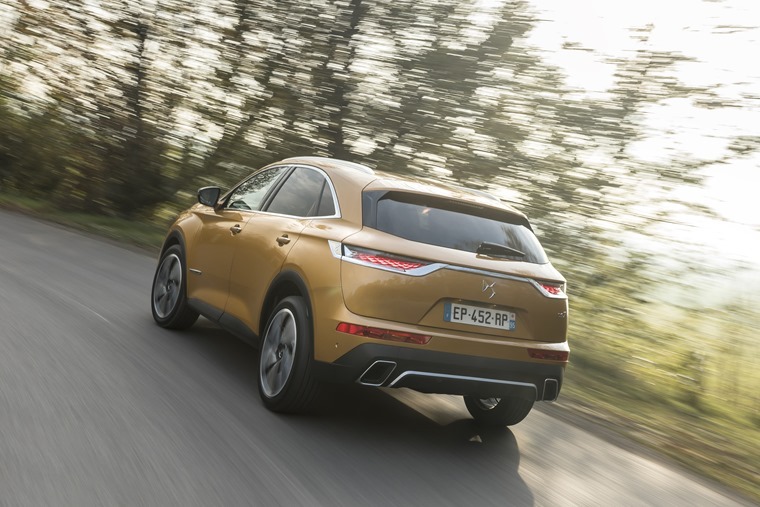 There's a lot to like about the DS7 upmarket SUV. A premium car for the style conscious and chic. 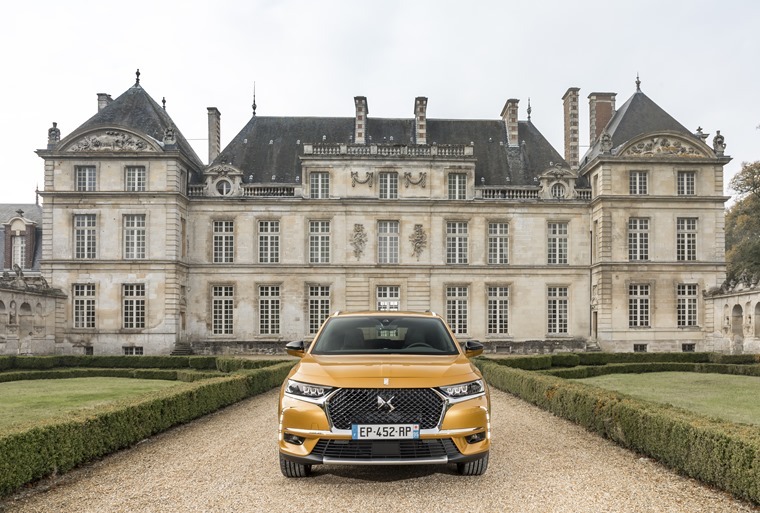 DS Automobiles has ambitious plans and they start with the DS7. This upmarket mid-size SUV is aimed directly at models from Audi, BMW, Jaguar, Lexus and Mercedes, so it’s not holding back when it comes to choosing big targets. 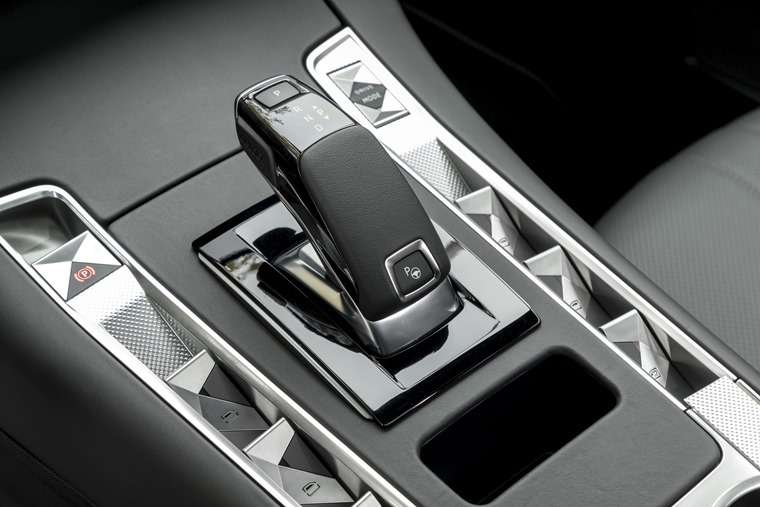 You’ll find the DS7 littered with details such as the diamond pattern theme that runs throughout the car’s design. From the front grille’s mesh to the rear lights, these diamond motifs are everywhere. Of course, the DS brand has been around since 2010 when the zesty DS3 was launched. Since then there has been the underwhelming DS4 and DS5, and with this in mind you get the distinct impression the DS7 is a new start and clean sheet that will spearhead the launch of several new additions to the line-up for the brand over the next three years. So, the DS7 is hugely important and that explains why this sector has been targeted. It’s growing at a fast rate and the premium end is just as popular as the mainstream. The DS cannily straddles this divide by pitching its prices from £28,050, while the top line version comes in at £43,535. To warrant that sort of pricing and tackle those premium rivals, the DS7 has taken a much more restrained approach than the DS5. As such, it’s a conventional SUV in size, shape and accommodation. Like most of its rivals, it can seat four adults in comfortable ease, though anyone riding in the middle rear pew will find it a little narrow and thinly padded. 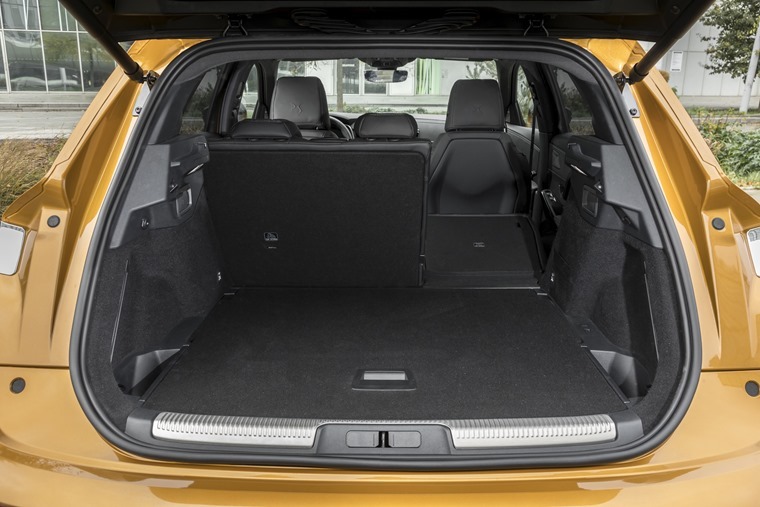 Still, there’s a generous boot and the 60-40 split and fold rear seats add to the practicality. As a nod to the original DS21 of the 1960s, the three inner lamps either side swivel and adjust to give a choice of five lighting beams to suit the road conditions. Nothing to complain about there, and you’ll also find the DS7 littered with details such as the diamond pattern theme that runs throughout the car’s design. From the front grille’s mesh to the rear lights, these diamond motifs are everywhere including the main digital instrument display. There are other touches, including the Active LED Vision headlights that are standard on all but the base trim. As a nod to the original DS21 of the 1960s, the three inner lamps either side swivel and adjust to give a choice of five lighting beams to suit the road conditions. We found it worked well, though the auto dipping for the main beam could be slow to react and caused oncoming drivers to flash us in irritation. 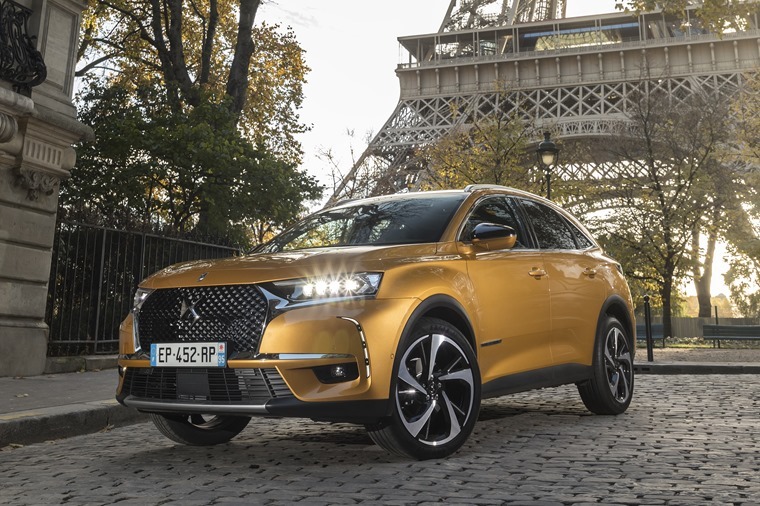 If you choose the 180hp 2.0-litre turbodiesel engine, which DS expects to be the best-seller, you also get Active Scan Suspension which is a first for this sector. It uses a number of sensors and cameras to read the road ahead so the suspension is already primed for any bumps rather than simply reacting as a normal set-up would. On most roads during our test drive, the DS7 with Active Scan Suspension was indeed supple and well controlled over grazed roads. At higher speeds, however, there was some noticeable patter and this was exacerbated by the 20in alloy wheels fitted to the Prestige versions we tried. There will be another petrol engine available when the DS7 hybrid goes on sale in 2019. Active Scan Suspension only works when the Comfort mode is engaged on the variable settings and we found the Normal set-up was the more successful at dealing with all surface conditions in or out of town. DS has made a good attempt at conveying that upper class feel in the cabin. This petrol engine is the quickest of the bunch at launch, offering 0-62mph in 8.3 seconds. If that doesn’t sound terribly swift, it’s worth bearing in mind it comes with an eight-speed automatic gearbox as standard and works its way smoothly through the ’box. It also provides 47.9mpg combined economy and 135g/km carbon dioxide emissions. There will be another petrol engine available when the DS7 hybrid goes on sale in 2019. We had a brief stint in a prototype and can only really tell you it needs a work on its transmission to improve shift refinement. However, it does offer the possibility of all-wheel drive, which is not available in any other DS7 at launch. As for the diesels, there’s a 130hp 1.5-litre offered in the lower two trims. We didn’t get to drive it but suspect the most cost-conscious will want it for its 107g/km emissions and 68.9mpg. 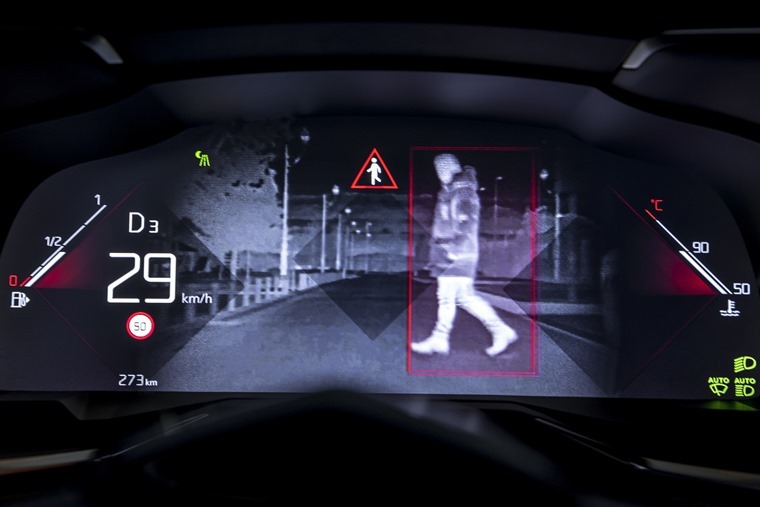 There’s the option of Night Vision to pick out hazards that may be invisible to the human eye. A far better choice is the 2.0-litre turbodiesel with 180hp. It sees off 0-62mph in 9.9 seconds, while 57.6mpg and 128g/km are on a par with most rivals. On the road, this unit works well, albeit with a bit more diesel rumble than we’d expect of a car pitched at the premium end of the scale. Even so, DS has made a good attempt at conveying that upper class feel in the cabin. Only the base Elegance trim misses out on leather upholstery and the 12.3in colour dash display that’s definitely worth having. It’s easy to scroll through the various menus and there’s the option of Night Vision to pick out hazards that may be invisible to the human eye. A central 12in colour touchscreen is also fitted to all but the Elegance models. It’s the same as that found in a variety of Citroen and Peugeot models, so almost all functions are controlled through it to create an uncluttered look to the console. Sadly, this means you have to switch between menus when all you want to do is adjust the temperature. 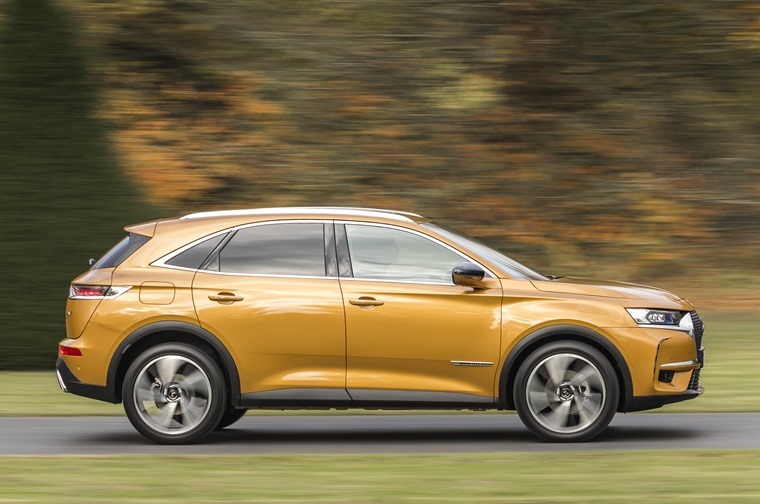 This is where the DS7 can falter against its premium-badged rivals. It’s maybe trying a little too hard to be the cool kid in a class already jam-packed with them. But, there’s still a lot to like about this French SUV.